For half of the last decade, Jason Lee Villarreal has participated in real estate transactions exceeding 100 million dollars. His tenacious drive has revolutionized a rapid rise to success in Houston’s real estate market. With his technological edge he has tailored an aggressive marketing approach which effectively markets and exposes properties locally, nationally, and internationally. With over 30,000 followers on social media, Jason is experienced with its platforms and trends. He is an expert in creating digital campaigns to achieve exposure needed to showcase homes and estates. Jason built a sterling reputation on personalized service with integrity, honesty and professionalism and consistently produces exceptional results. In past roles, Jason served as District Manager for a Top 10, Inc. 500 company and focused on new development in opening over a dozen new stores throughout Texas. His emphasis on marketing, exposure and advertising led to incredible success. 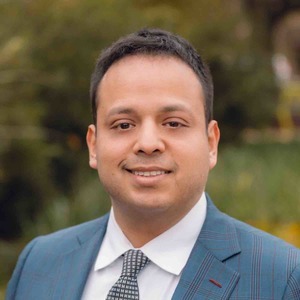 He most recently worked for several of Houston’s most reputable and successful luxury agents, which afforded him valuable insight and training that he applies to his career today. Jason currently resides in Uptown Houston where he continues to build his rapidly growing reputation through his constant passion and collaboration with other professionals. When not traversing the city for work, he takes in as much of Houston’s live music, arts, and culture as he possibly can. In his free-time he enjoys traveling, attending Astros games and new local restaurants. A firm believer in giving back to the community, he is heavily involved in various humanitarian causes including Alzheimer's Association.